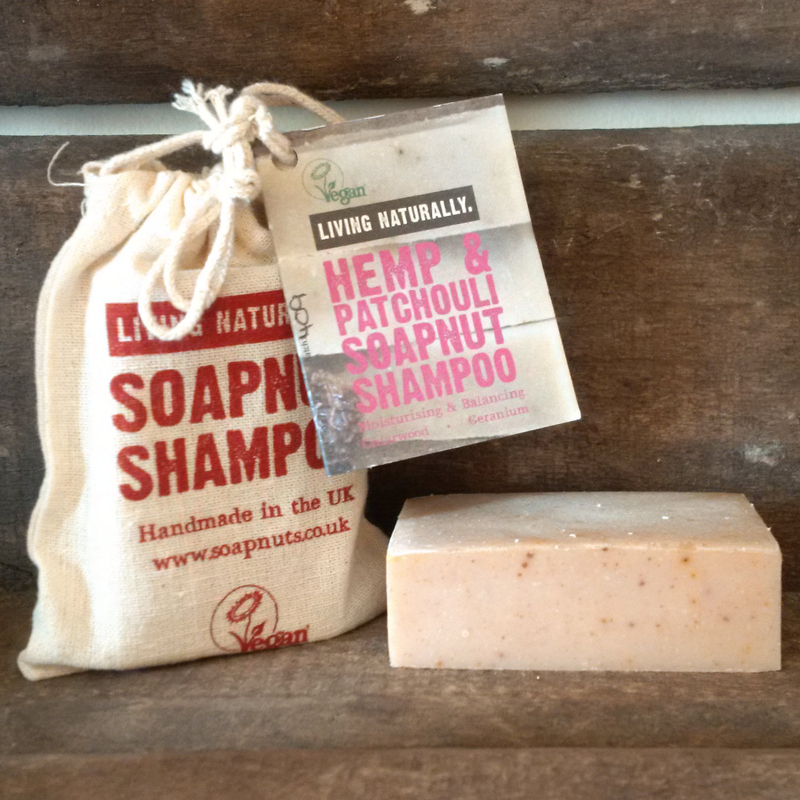 This natural hemp and patchouli shampoo bar moisturises and conditions the hair without any harsh ingredients. Handmade in the UK, the artisan solid shampoo bar blends organic hemp oil and cayenne pepper to nourish, scented with natural patchouli, cedarwood and geranium. This cruelty free and vegan shampoo bar is also suitable for face, body and hands. Organic hemp oil is a natural moisturiser rich in vitamin E which conditions your hair and scalp. It has soothing properties that help to prevent irritation and dryness. Cayenne pepper has a stimulatory effect on the scalp and is known to promote hair growth whilst adding shine to lifeless hair. Ideal for thick and curly hair. Suitable for skin prone to dryness and inflammation. Organic Sapindus mukorossi (soapnut) fruit extract, Olea europaea (olive) fruit oil, Organic Cocos nucifera (coconut) oil, Organic Ricinus communis (castor) seed oil, Sodium hydroxide*, Organic Theobroma cacao (cocoa) seed butter, Organic Cannabis sativa (hemp) seed oil, Pogostemon cablin (patchouli) leaf oil, Thuja orientalis (cedarwood) leaf oil, Pelargonium graveolens (geranium) oil, Capsicum frutescens (cayenne pepper) fruit powder, Kaolin (and) Illite (and) Red iron oxides, geraniol**, citronellol**. 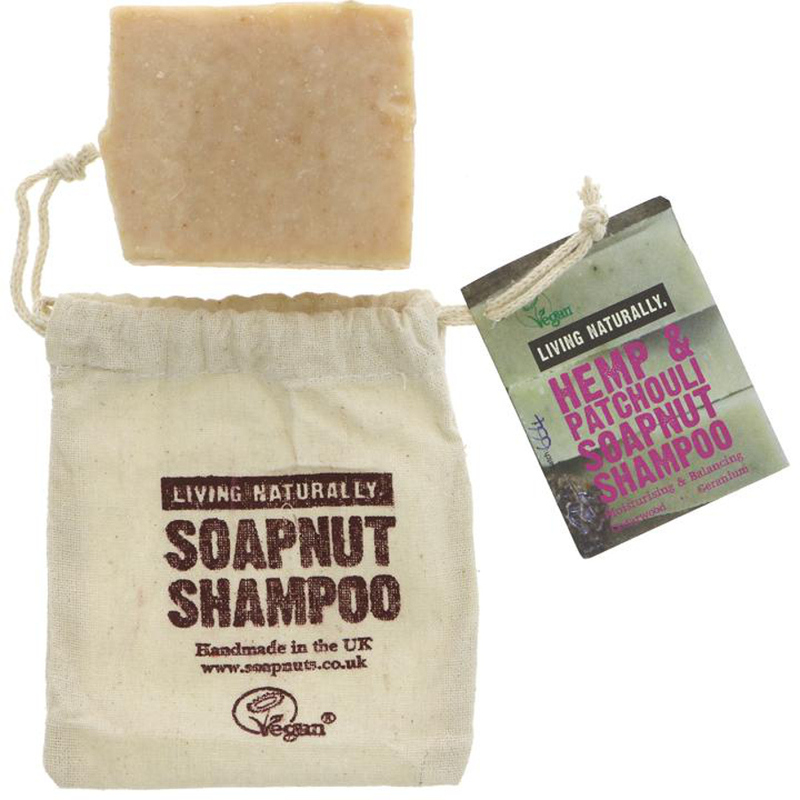 There are currently no questions to display about Living Naturally Hemp & Patchouli Shampoo Bar - 90g.